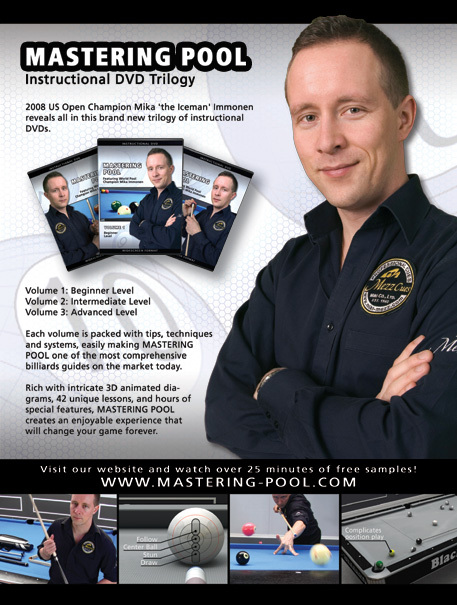 Mika "the Iceman" Immonen reveals all in the worlds top selling series of instructional DVDs. Each volume is packed with tips, techniques and systems, easily making MASTERING POOL one of the most comprehensive billiards guides on the market today. Rich with intricate 3D animated diagrams, 42 unique lessons, and hours of special features, MASTERING POOL creates an enjoyable experience that will change your game forever. Volume 1 is directed specifically towards casual players. Rich with intricate 3D animated diagrams, 14 exclusive lessons, and over 35 minutes of special features, MASTERING POOL creates an enjoyable experience that will change your game forever. Volume 2 is designed for casual or league players. 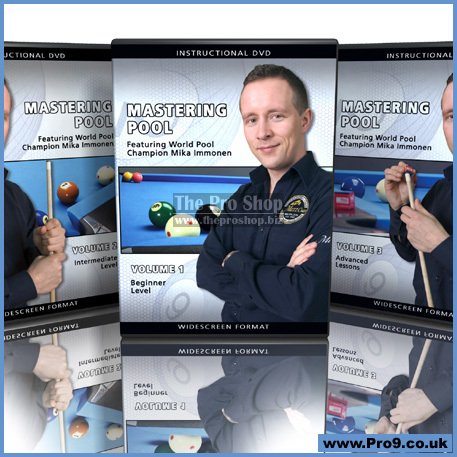 Rich with intricate 3D animated diagrams, 14 exclusive lessons, and over 35 minutes of special features, this volume of MASTERING POOL is guaranteed to raise your game to a whole new level. 2009 Player of the Year, Mika "the Iceman" Immonen reveals all in this brand new trilogy of instructional DVDs. Each volume is packed with tips, techniques and systems, easily making MASTERING POOL one of the most comprehensive billiards guides on the market today.